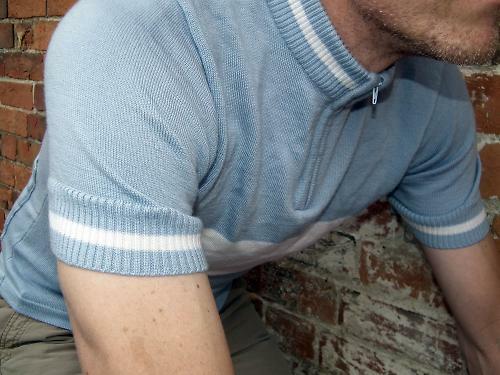 The Jura Short Sleeve Pale Blue/Ecru is a lovely classic style merino jersey with plenty of length in the body, and pockets that put most modern jerseys to shame. Well worth the price tag. Jura Cycle Clothing is relatively new to the UK scene, starting in 2013 and based in East Sussex. The company only does two lines - short or long sleeve merino jerseys, using Italian merino assembled in Istanbul (not Constantinople. Sorry). What marks it out is the customisation on offer - you can have pretty much any logo or wording you like embroidered anywhere on the jersey, which is great for team events or a special gift. Jura's designs are firmly in the 'classic' school, using block colours and broad or narrow stripes. If you asked for 'Molteni' to be embroidered across the front, most people would be hard-pressed to pick it from the real vintage deal. The short sleeve jersey has three deep pockets, secured by buttons and able to swallow a decent minipump, lightweight jacket/gilet, or pack of 28mm tube, tool and levers (the long sleeve design, £90, features a single zipped pocket). The button closures were new to me, but they did the job so well I now wonder why more jerseys don't feature them. Particularly being able to put a longish minipump into the left or right pocket and not have it poke toward the armpit and be at risk of falling out - the button means it's angled more to the shoulder and held in closer to the body. The stitching between the pockets is reinforced and looks like it will last. With a 94cm chest I'm bang on Jura's Medium sizing, but opted for the Small to give a more race fit. Going a size smaller, there was still plenty of length in the jersey, sitting perfectly on the hips and lower back. The only niggle was that the arms then come maybe an inch shorter than I'd prefer on the bike - standing straight they are mid-bicep, but on the bike they ride up a bit as there's no modern Lycra or silicone gripping wizardry. A small price to pay for race-fit classic styling. 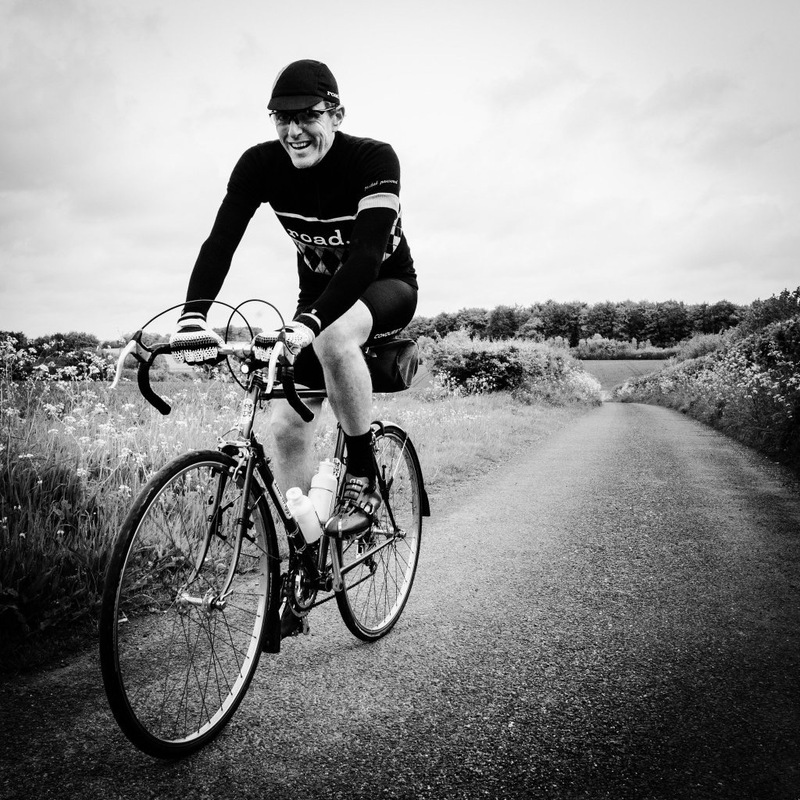 My first major ride out in this jersey was the 100-mile Eroica Britannia, 2650m of climbing through an alternating wet and windy/warm and sunny Peak District. At the 6am startline the temperature was hovering around 10 degrees with rain forecast, so I chose a thin longsleeved merino baselayer to go under it. I'm from the school of thought that if sheep don't need raincoats neither will I with two layers of wool, and this was borne out over the next few hours. The Jura jersey performed admirably throughout the day's multiple maximum heart rate efforts in increasingly consistent sunshine with bouts of high winds over the tops. Had it been maybe five degrees warmer I could have ditched the baselayer and gone with the jersey alone. The pockets were in regular use as the phone came out for photos, the tube/toolroll and pump never felt intrusive, and there was always room for a few more handfuls of ANZAC biscuit or halves of banana to be stashed and retrieved. On club runs, the jersey garners appreciative comments, the pockets large enough to accommodate a thin jacket for the cooler ride home from the pub of an evening. The short zip is really for head entry/exit more than any cooling benefit, but the ability of merino to help regulate body temperature means on all but the hottest days/hardest rides you won't miss a longer zip. The £80 price tag for premium merino feels about right, and while many firms now offer cheaper 'merino' products, you can also pay nearly twice as much for much the same thing. What Jura has done with its short sleeve jersey is to bring together a lovely material, classic design and useful features in a way that justifies the price of what should become a favourite bit of kit. A classic merino short-sleeved jersey, which is easily paired with a baselayer or jacket for three-season wear. Jura says: "This lightweight high-performance jersey is ideal for cycling in the Spring and Summer. It combines performance with comfort. Made from the finest 100% Italian merino wool. This jumper offers a brilliant balance of insulation, wind proofing and breathability. The jersey has three rear button pockets for storage! A smart eye catching design." 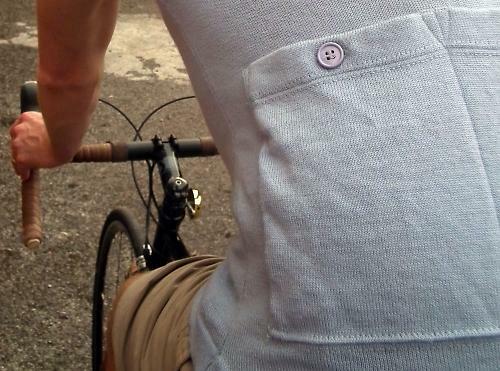 100% Italian merino, short zip, three deep pockets with button closures. The jersey is well put-together. The white band across the chest is knitted in, not a sewn panel, so there's no seam. It's merino, and does what merino does well - keeping you comfy across a range of temperatures and degrees of dampness. After two months of regular use and washing, the jersey looks as good as new. It's fine merino, and well cut. £80 for a short-sleeved jersey isn't cheap, but this is one you'll want to pull on as often as possible. Very well. Merino just feels special. The design and the fabric. Okay, that's most of the package. Arms could be a little longer, but I went for a closer fit. If the arms were a bit longer it would have been a 9. It does indeed look lovely; has it stretched any? 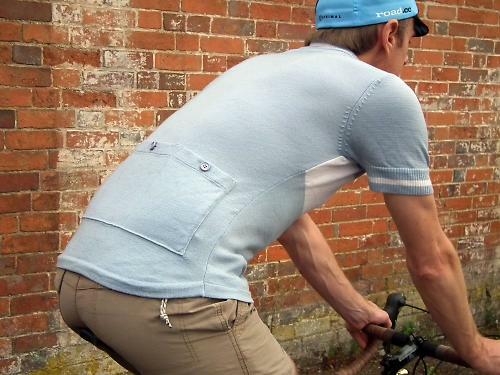 I've got some similar-looking Alpe Deux merino jerseys, and they did rather sag in the body, especially if you're carrying any kind of load in the pockets. Nope - feels as snug a few months on as new. And I can't tell any sagging with pockets full of stuff. If you go for a looser fit that will be evident, as with any jersey, but I suspect knitted wool would 'grip' your skin maybe better than a polyester. Cheers; looks like one to drop birthday hints about then!